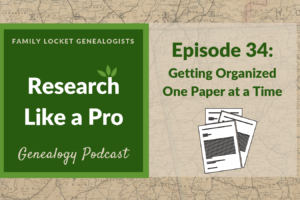 Today I’m sharing two pieces of exciting news: I solved my Keaton brick wall, and Research Like a Pro: A Genealogist’s Guide is now available on paperback! After editing, formatting, and preparing work samples for the book for the last two months, I have become very familiar with the process. To check it out, click here: Research Like a Pro on Amazon. -found a DAR article in a 1902 newspaper about the Greshams submitted by a DAR member that said “Katy Gresham married William Keaton, Pendleton, S.C.” and that Katy Gresham’s parents were John Gresham and Barbara Burdine. -I researched Katy Gresham in online family trees and found that many people had her mother’s family – including Barbara Burdine’s father, Richard Burdine/Burdyne. -noted that Lucinda was also known as Cindrilla and Cynthia on census records. 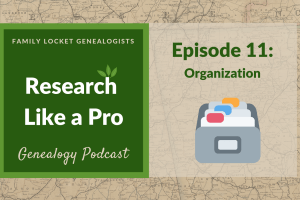 When I started the Research Like a Pro process, I had done a lot of searching online for clues that would prove Lucinda Keaton’s father was William Keaton. I wasn’t following a plan, I was just searching randomly for more clues. I was resigned that I would only find indirect evidence to prove the relationship and that I’d have to do a big DNA project testing several descendants of William Keaton to prove the hypothesis. Determine if Willam Keaton, born about 1756-1765 and married Katy Gresham in Pendleton, South Carolina, was the father of Lucinda (Keaton) Welch. Lucinda was born about 1805 in South Carolina and married George Welch. Lucinda and George resided in Anderson District, South Carolina in 1830. I created a chronology of sources about William Keaton (William Keaton Chronology) as well as a timeline (William Keaton Timeline Analysis). I wanted to be as thorough as possible. To estimate a possible birth year range for William Keaton, I calculated his age from each census 1790-1820. I also transcribed each of these censuses into a table in the chronology, and determined that based on the tick marks, he likely had 13 children – 10 male and 3 female. I took note of neighbors and associates. As part of the chronology, I transcribed the land conveyance record that mentioned William Keaton and George Welch in 1833. As I transcribed it, I realized that it gave me an important clue that could lead to more records – it mentioned that William Keaton (deceased) formerly resided on the land being sold. The two men selling the land were George Welch (Lucinda’s husband) and William Keaton. At first, I thought this was William Keaton Sr., but then I realized that although it didn’t specify Jr. and Sr., that one William Keaton in the deed was deceased and the other one was selling the land. This record helped me understand that I should be searching for records of land ownership, estate division, and probate for William Keaton before 1833. I also noticed in my timeline that William Keaton did not appear on the 1830 census in Anderson District, further evidence that he died before 1830. The next assignment for the Research Like a Pro study group was to create a locality guide for the area. This was the most helpful assignment in the process. I created a guide for Pendleton, South Carolina. This place was a town, a county, a district, and then was replaced by Anderson District. I knew there were a lot of changing jurisdictions for William Keaton’s timeline, and I needed to understand it better. I started learning everything I could about the place and created this: Pendleton District, South Carolina Locality Guide. I also created a general South Carolina guide: South Carolina Locality Guide. The best discovery I made while created the Pendleton District guide was that GenealogyBank had a collection of indexed, digitized newspapers from Pendleton in 1807-1841, called Miller’s Weekly Messenger (also Pendleton Messenger). I quickly signed up for a subscription and searched the collection for the surname Keaton. I found an exciting article! “South Carolina, Anderson District. Archibald Keaton applicant, vs. Abner Keaton et al. defendants.” (South Carolina) Pendleton Messenger, 24 Nov 1830, p. 3, col. 5; image, Genealogy Bank (https://www.genealogybank.com : accessed 1 May 2018). This article gave me evidence that William Keaton had an estate file in Anderson District. As I finished my locality guide, I went through everything in the FamilySearch Catalog for Anderson District. In the probate section, I saw a collection called “Anderson County, South Carolina estate papers packets, 1828-1915.” Half of the microfilms had been digitized, and the half that would contain William Keaton’s file was not. However, I knew that he would be on the microfilm. Anderson County, South Carolina Estates, box 10, No 362, case file for William Keaton, 1830-1833, p. 22; FHL Microfilm 1572233. On line 5, I noticed “George Welch and Cindrilla his wife.” I was thrilled! It wasn’t until I went back and transcribed the document that I realized it actually said “Lucindrilla.” I could not believe it! Lucinda Keaton’s full name was Lucindrilla. It made perfect sense now why she went by both Lucinda and Cindrilla. See my transcription of the estate papers here: William Keaton Estate Papers Transcription and my research log: William Keaton Research Log. I will use this in the report to conclude that each of the 13 people listed as heirs in addition to the widow, Catherine [Katy] Keaton, are William Keaton’s children. Four references throughout the estate papers reference “the children of the real estate of Wm Keaton,” providing evidence that the heirs were William Keaton’s children and not some other relatives. During the 4th study group session about source citations and research logs, one of the group members asked about the reliability of online trees since much of that information is copied from user to user, like at Ancestry. Diana answered that she often uses RootsWeb family trees since they are often more reliable. Users actually uploaded gedcoms instead of copying information from others’ trees. I immediately typed William Keaton’s name into the RootsWeb database and found a a family tree which contained a list of William Keaton’s children as obtained from his estate file. Instead of Lucindrilla, it listed her as “Drucilla.” I’m so glad that I viewed the original record before I saw this. Seeing that there was no Lucinda in the list might have deterred me from pursuing my hypothesis. But because I viewed the original source and recognized my ancestor’s name as Lucindrilla, the wife of George Welch, it proved my hypothesis! I have definitely learned to always check the original record and not rely on derivatives. I am thrilled that the Research Like a Pro process was so successful in helping me break my brick wall! I had been searching for years, but a knowledge of what record collections were available and a focused research plan were what I lacked. 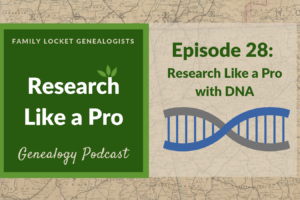 Check out the book here: Research Like a Pro: A Genealogist’s Guide. Benjamin James, South Carolina, A Digest of the Laws of South-Carolina: containing the public statue law of the state, down to the year 1822; a compendious system of the general principles and doctrines of teh common law, the law of courts martial, and a great variety of forms: the whole being designed, chiefly, for the instruction and use of the private citizen and inferior magistrate (Columbia: Telescope Press, 1822), 130; image copy, Google Books (https://books.google.com : accessed 13 May 2018). Nicole, So fun to read your step by step success. I’m eager to get back into some research when school ends soon! So many options ahead….some even in Tennesee and South Carolina so I get to do some new locality study. Thanks for pointing out the importance of that step. I really love your very complete research guide for South Carolina. I have a very big brick wall that involves South Carolina. Unfortunately, I don’t know which county/district. Can’t wait for your book to arrive! Lisa, Thank you! There are still many sources I need to add to the research guide. It’s a work in progress! Now that I’ve solved Lucindrilla Keaton’s parents, I am working to identify William Keaton prior to 1790. All I have is a land plat, but a county history for his son Reuben mentions that William is found on a bounty land warrant for Revolutionary War service. I am learning about the sources for South Carolina veterans of the Revolutionary War and will need to update the guide! I was able to find possible counties/districts for Lucindrilla’s parents’ residence by searching the census records about the time when I estimated she was born. That returned only one county. This worked well for my surname but if your is common, it probably won’t work. Thank you so very much for sharing your research process and information on the Keaton genealogy. William Keeton is my 4th great grandfather through son Abner. Your information and research confirmed a lot of what I had discovered. Interestingly though, I had not run across Lucindrilla at all. I currently live in Marietta, Georgia, not far from Pendleton, South Carolina. I hope to visit the area soon and check out some of the family locations. Thank you again!!!!! Katherene – great to meet you! I am so glad that you commented! I hope you share what you learn when you go visit Pendleton. I loved how logical you were and following through on the clues you found in summarizing your information. You made it look easy!